I had a shock realisation the other day. Not everybody in the world uses Internet Explorer. And Internet Explorer has its limitations and issues. But its the only browser that shows fonts up nicely. Internet Explorer made my Book Club Page malfunction. Google Chrome and Firefox work perfectly... but oh the ugliness of the display! My pretty pretty screen font that I loved. Looked Awful. Awful. So now I have reverted to plain old Georgia, which is the best of a bad bunch in all the browsers. Or do you feel my pain? Is this my screen's inadequacy, is it just me, or does Google Chrome show fonts up badly for all of you? What browser do you use? And how do the fonts show up for you? My next dilemma, Mrs Readalot's Book Club. Mrs Readalot may just be a bookworm, but she has blog addictions too. Can you hear her insecurities screaming, "Love me! love me! Leave a comment!" And no replies to any Book Club Discussions. Shame, Mrs Readalot. You have failed to move your audience. Even those pictures of the Bound Feet did not evoke a single murmur. Mrs Readalot thought at first it was a broken page. Nobody could post. In a panic she contacted BlogFrog. They told her, try it in another browser, and oh boy, it was 100% fine and dandy in Ugly Google Chrome. Which mean *gulp* that nobody had even tried to vist her. Now Mrs Readalot is lost. She asks meekly: Did people really want a bloggy bookclub? Does anyone know how to run one of these things? How do you do it? What do you do? (what do you people want????) Help! OK, so now that Mrs Readalot has got her issues embarrassingly out on the table, its time to reveal my own secret obsession. There I said it. I admit it. I want Followers. Yeah, I know that Followers aren't everything. I know that the number in the Follower box is but a small percentage of actual readers. I also know that many people click "follow" and never visit again. So why do I get so excited when I log on and see that I have a new follower? Or so embarrassingly bummed when I spot... one less. All my insecurities shout, "They don't like you!! You p***d someone off!" or "Your blog is boring... they're sick of you and your endless issues..."
See what I mean? Shamefully woefully insecure about things that really don't matter. I can tell myself that somebody who once clicked "follow" and never visited again was having a cull and couldn't remember me and my lovely blog... Yeah Right. As if I listen to such logic! I'm far too obsessed for such platitudes. And then. I go blog visiting. And I see Follower Numbers that have me drooling. 500+ Followers! 800+ Followers!! 1000+ Followers!! Its a case of the more you get the more you want. I remember when I was a brand new blogger, and a member of the MBC Under 100 Followers Club. Reaching 100 Followers was the Promised Land. And now look. I reached 200. Still not satisfied. So there it is, lovely readers, precious followers and silent lurkers. I will post this in a few moments, putting myself out there to be mocked and scorned. Those of you secure in yourselves will shake your heads and think, "There goes another victim of the Information Age..."
Will you judge me for my insecurity? Will you turn away from my shameful neediness? Or do you share my affliction? Speak to me. Reassure me. Pat me down. Be my friend, Like me. Follow me! Visit Poor Mrs Readalot's Bookclub and tell her what you want. And please please tell me which browser you use and whether I can safely return to my lovely Webfont or if I must stay here forever... in Georgia. Oh lady - the way you are about followers is the way I am about my stats! You sound normal, and I think a bloggy bookclub is a great idea, will be visiting Readalot's post. And I use Google Chrome... sorry. Aw Simoney * pats on back*. This is such a bizzare morning. I just read about someone else turning comments off...so I have been searching my soul about why we blog at all. We seem to need to have a balance between doing it for ourselves and doing it for readership IMO.I like your reading about you and your family...but you cant let cyber friends be your reason to blog. Do it because you like it. I like how you are a starter upper...but I just don't read enough books to be interested in joining the book club. As blog addict...just the amount of reading online seems to be enough for me coupled with the little time I leave for other stuff and maintaining ones own blog. And in regards to Explorer...Now I realise why I cant read some peoples fonts! I have firefox.Thanks! I was excited to see another Mrs Readalot post but haven't gotten round to reading it yet...but shall do!! haha - you are such a lovely and honest lady. I too don't really have time to read books let alone follow along with a book club - so sorry... I thought it was such a great idea though. Don't take it personally. I've realised that our blog identity has to be in something more than stats and followers - otherwise our whole world will crumble with the opinion of 'others'. I remember hearing a millionare once saying that you can never be satisfied with numbers as there is always someone richer than you. Love you lots - and stay true to who you are and why you blog. p.s. I use Opera - and your blog looks great in it. I'm a mostly-silent lurker.... partly because I'm thinking one day I want to be real blogger, not just a wannabe.... and then I'll have a profile & can follow properly. About the bookclub - I think it's a great idea. I always "diminish" my own input or qualification for such things by saying to myself "the books you read are just chick-lit, or not intellectual enough, you have no place belonging to a bookclub" so don't give up, there may be other fence sitters like me who one day will have the courage to join! I'm a Firefox user & your blog always looks "right" to me. Um Simone I hadn't noticed any issues with Chrome but now you mention it the titles are a teeny big jaggerdy. I don't really care about followers to be honest, I look at the stats from time to time but that's about it. I only put the followers thing back on because someone asked me to... weird. Sweet lady...you make me smile!! Loved IRL and in blogland!! Hmm I have 23 followers, which is one up from a couple of days ago, and I did a wee happy dance. Yep think it is a case of the more you have the more you want/need. Blogfrog is new to me - not sure I get it fully. I'm using IE. Only because Firefox loads too slowly. I confess, I don't read your Mrs Readalot posts because I'm reading mainly non-fiction at the moment! I use Firefox and your blog looks fine. I don't have time for the book club, though I enjoyed reading your book reviews. 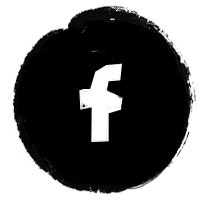 I use FB & Google for followers only because I find it a quick way to follow other peoples blogs I enjoy. I don't check stats or care about numbers - and I am being completely honest. I blog because I love writing and catching special moments of family life. It gives me something for 'me' away from dishes, laundry, school runs and cooking. I've met some great people, been inspired by many, feel I live life more positively as I'm forever capturing those golden moments. I struggle with blog envy and followers A LOT and I'm falling well short of 50 followers even though I've been blogging for 4 years! I'm working on giving up caring and just blogging for me now. I think if I had 1 follower I would still have to blog just to put my thoughts out there. Please tell Mrs Readalot that I love her book club but I missed her post as I've not had a chance to catch up with blog reading properly for ages. BTW I use Firefox and it works really well for me. OK that rips.. I just wrote a massive epistle and the comment then wouldn't post! Here goes again - a more condensed version! Also..I have a tendency to LOVE my comments a little too much and still jump for joy when I get a new follower as at less than 50 is still a novelty...and I do feel guilty for doing so! I think it's great you have the ideas and you should keep trying them out - some will fly higher and faster than others depending on how they resonate with other people, that's just life! I use both Safari and Chrome and hadn't noticed anything different but probably wasn't paying too much attention to be honest! Love ya just the way you are, and that's whether you have 1 blog or 10! Okay I find myself looking at followers and being pleased with comments, having to remind myself why I started blogging in the first place...I started without the intention of people actually reading it but it just evolved that way. So I 'try' not to get caught up but its a natural reaction sometimes. Don't feel silly about it, I understand your sentiments so I'm not judging at all. I've got firefox on both my laptop and PC and the fonts only show up on my laptop, which is strange and I don't know why. Thankyou lovely people! I am slightly cringing at my neediness -but I KNOW there are others out there like me. I say its because I want to be a Real Grown Up Writer One Day and so I want/love/neeeeed feedback?!! I envy those more-secure ones who blog without caring about comments/stats/followers or feedback. I really do. Sadly I am not yet that secure. The thought of turning off followers/comments would make me feel like i was speaking to an empty room. So. I won't be turning off comments or followers any time soon, but hopefully I'll make peace with my level of "reach" soon. It's just me. Always wanting more. I AM an initiator, a starter-upper. And I TOTALLY get that there are stacks of non-book readers for whom a Bookclub is as enticing as an invitation to watch my paint dry. Hey lovely lady....take it from a girl who has no comments on one blog and only 33 on another...you are doing GREAT!!!! and look "only" 14 comments on this post...I am lucky to get 2 or 3.."shrug"
I love reading your reviews and book ideas, though..and OF COURSE love your blog! I love your writing style and your blog, I have to be honest I haven't got to Mrs. Readalots posts yet, as my reading has been pretty scarce with all my other "goings on' at the moment. Man I would love to hit 50 followers...I think I only have 32 at the moment! You're doing great!! You have totally lost me on the browser thing..I have no idea what you are talking about???!! but your blog looks cool to me. I took my followers gadget down awhile ago and I'm happy with that choice. There are HEAPS of readers on there that i know don't read my blog, I'm sure of it, and then heaps that read who don't follow, so muh, it's misleading. I don't click follow on blogs because I use Google Reader to keep track of my favourite blogs, of which, yours is one. In fact, I rarely click through to a blog to comment due to time constraints. I do read every single one of your posts though. I joined the book club but couldn't get the comments thingy to work after several attempts, so I gave up, once again, due to lack of time. As for the bookclub - I think the main difficulty with it is that it's kinda removed from your main blog. I have no idea how to use blogfrog! haha I kind of thought it would work well if it was a linky-tag sort of thing. Like, in April if you read "The Secret Garden" for example, and then posted your review on the 30th. Then you had a thing at the bottom of your blog for everybody else to link their reviews of the same book, and then a wee paragraph saying "In May Helen will review "A Little Princess" on her blog One Trick Pony, the review will be up on May 31st. Please feel free to join in!" And then the next month I would tag someone else for example, so everyone has a chance to host and get some traffic to their blog. Dunno if it would work but it sort of keeps things at the front instead of hidden away in blogfrog, if you kwim? And I totally read Mrs. Readalot's last review, but got so sidetracked googling foot binding I forgot to leave a comment! Sorry Mrs. Readalot! Helen! What a great idea! So do you want to be one of the first hosts? Tee Hee. Maybe next week I'll do a post and ask people to put themselves forward to host a month and get some buy-in. Then in the order people sign up we can have a bookclub blog hop! FAB! Thanks Helen!! YOU ROCK!!!!! Your blog is great Simone, you have heaps of followers!! For someone like me who's just cracked 100... I dont think I'll ever get to over 300... and Im not too worried. As long as I get some comments, esp from my regular sweet commenters..then its all good. I have never tried anything other than internet explorer...although was tempted a while ago when it kept quitting on me. As for the book club...love reading, love the idea...time has been a factor lately..and blogfrog is new to me. Keep just writing like you do Simone. Your blog opened a new world of blogging to me and you need to do what you do best - write great posts!!! so we can enjoy reading them. 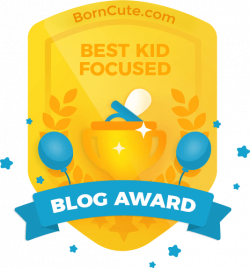 I can imagine it's tempting to judge a blog's success by the comments or followers you get...but I think it's just such a great way to record life, and I bet your kids will have fun in years to come, reading back over it! I would like to blog (I'm partly there!) but I haven't taken the leap yet. I enjoy this newly discovered mummy blog community! I also like the book club idea, but living in a foreign country without close access to an English library makes it a little tricky to keep up. In the meantime I'm thankful for a growing books-I'd-like-to-read-list! Love your creativity, writing and inspiration! I read your blog everyday and if you haven't posted I catch up on the older posts. thanks to you I'm reading The Red Tent and loving it, Wild Swans is on my reading list now. When I worked at Hedleys Bookshop in Masterton I read all sorts of books, all the latest releases but now I'm a busy mum of two I tend to read lighter books chick lit etc so you are leading me into the better stuff again. I turned on the followers gadget on my blog and got nobody so just quietly turned it off again and check the stats daily, (sometimes twice daily LOL). 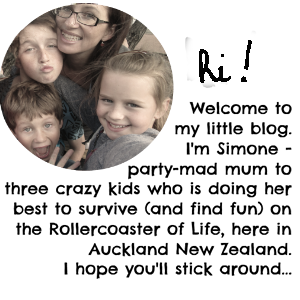 I liked the comment about who do you blog for...I started blogging for me and my kids. I wanted my kids to really know me when they grew up ( I intend to print out the appropiate posts and file in a folder for future reference). but then very quickly it became about stats and comments so thank you for reminding us about why we do blog. I use Firefox but so wish we could use different fonts and sizes etc on each post. Fonts on a quiet obsession of mine LOL! If it makes you feel ANY better, I've been stuck at 153 followers FOREVER. That suddenly jumped this week to 160something, but still. I know the feeling of wanting more, and getting so excited when new ones show up. I think you're normal. We all want some sort of validation. Nature of the beast. My thing is....I want comments. And for whatever reason, my comments have really dwindled. I can BARELY get 10 on most posts. Wierd. I went to look for your e-mail earlier and couldn't find it in my address book. Just wanted to have you read a post i wrote on living with someone with depression. It's called "the other side." Let me know what you think. Oh, and I have no idea what Google chrome is, or anythign else you mentioned. I am so dumb when it comes to this stuff. And finally....I think you're great. Hey, that might be why I can't get any of the gorgeous webfonts on my blog - I use chrome!!! You're awesome, I love your blog, I read it every time you post :) Keep up the gorgeous work!! I mostly read your blog in my reader but today I've clicked through at it looks fine on my Safari. I wish I could join your book club but I seem to be flat out reading online without more reading. Sorry.